We get a lot of questions from educators and parents about our YOU Program approach. In this holistic approach to child development and parenting, there are four areas for parents to address with their child: physical health, emotional well-being, social well-being, and academic success. The YOU Program promotes helping a child with all four areas in a balanced manner. As educators, you might notice that parents tend to be great in one or two areas, but may not know how to help in the others. It’s important that all four areas are nurtured in order to contribute to a student’s academic success. 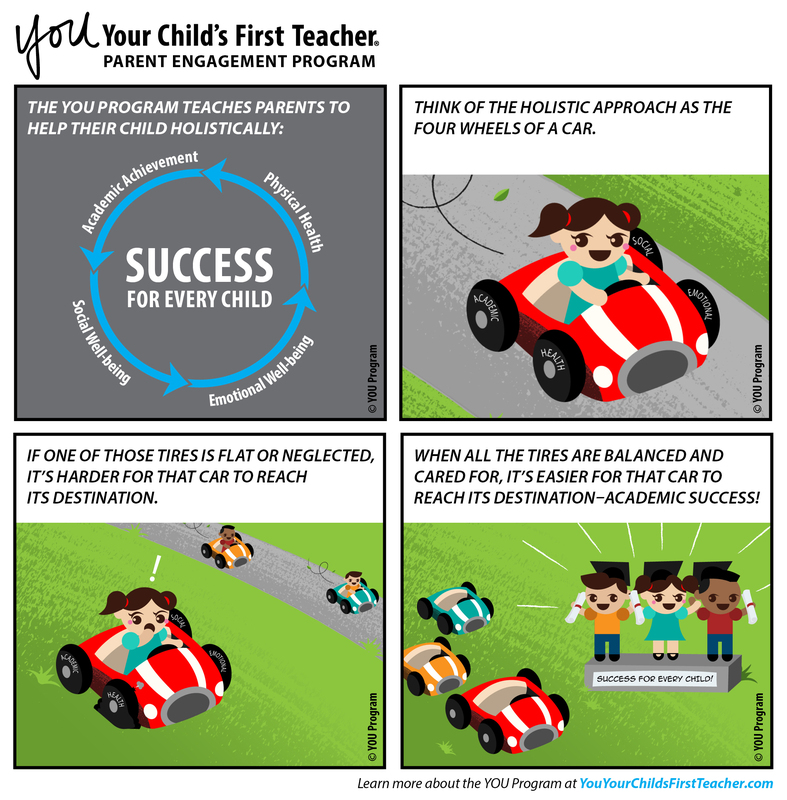 As you can see in the above illustration, if a student’s parents are not effectively nurturing one of those four areas, it will be more difficult for the student to succeed in school. That’s why it’s critical for educators and parents to learn how to work together to help each student succeed.